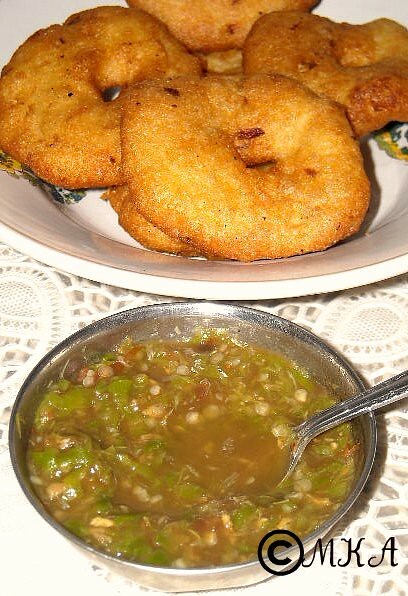 My granny used to make this to eat it with vadas(garelu) and it is my mom's favourite chutney. Is it very hot and spicy ???? We call it the puli-milagai !!! But I am never fond of this one. looks fiery....must b gr8 wid vadas..though never tried this combo..
Slurp! Very hot and spicy chutney! It's yummy! Hot fiery chutney looks super yummy..
love easy recipes like this..
And i am glad that semolina sandwich came out good for you..Thanks for leaving a comment and letting me know.. I recently found green chillies in Palermo so I will make this, my daughter loves chutneys. We lived in New Delhi for 5 years and my husband travelled to Andra Pradesh. We all love Indian food and miss India so much. I'm following you from Trapani, Sicily. 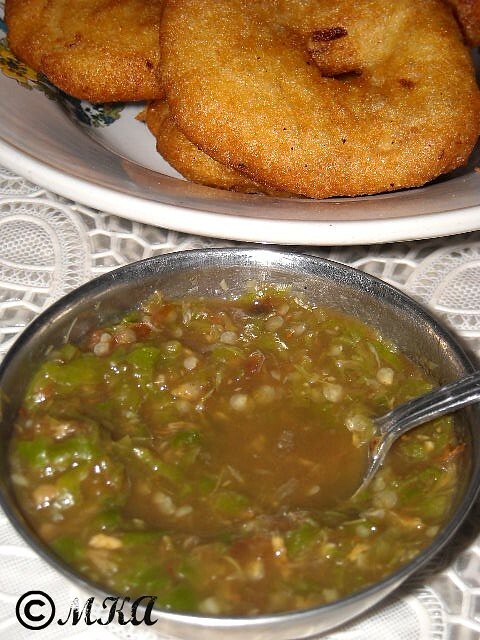 so spicy and wonderful green chillies chutney !! New to me...looks wonderful with vadas. 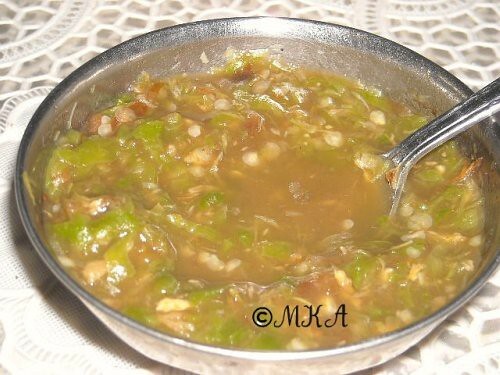 Green chillies chutney WOW.. Now thats blast fro mthe past , I remember those days in our village especially during harvest time , Grand ma would make 50-60 Roti's in morning and then men and women of the hosue go to the fields to work, and around noon its lunch time and then the food would be those rotis , With Green chilly Chutney and a onion .. and a glass of LASSI.. WOWOWWOWO it use to be and to polish it off with some GUD in the end ..